Edition of 111, including 11 artist’s proofs. 11 3/4 x 9 3/4 in. ; 29.8 x 24.8 cm. 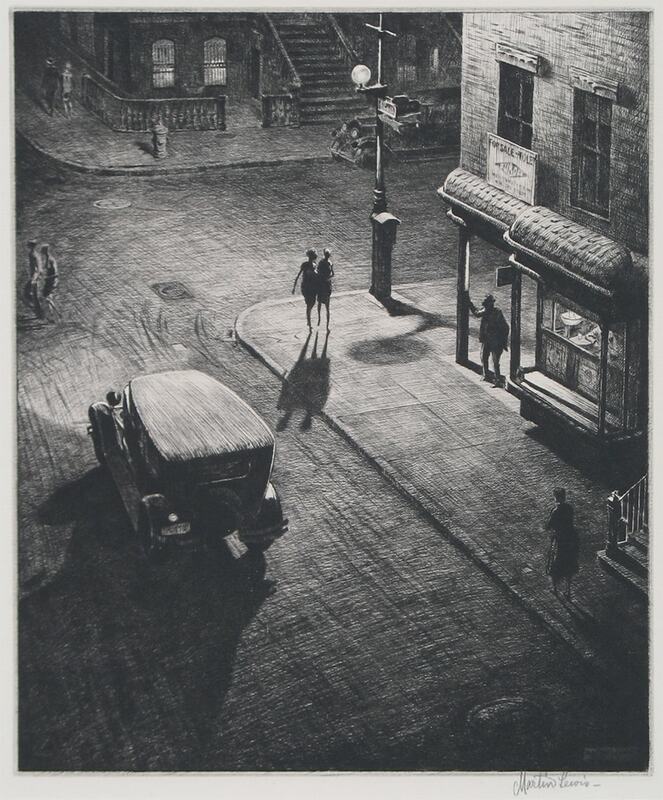 The original title for the print was ‘ Speakeasy Corner’, but during these Prohibition years, Kennedy Galleries changed the title to ‘Relics’. The location is Greenwich Village which was near Lewis’ house at the time on Bedford Street.